Trimming the tiles to fit along an edge or to go around an obstacle may be necessary in order to fit properly. 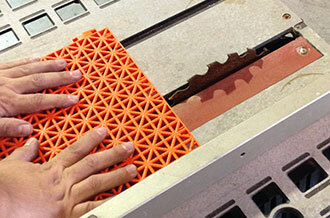 If this necessary for your install there are several options available for cutting the tile. The tile can be trimmed using a table saw as shown here. With a hand-held circular saw as shown here. 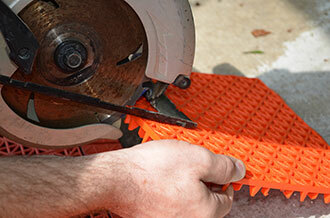 You will need to use a fine tooth blade to keep tile from chipping the tile. 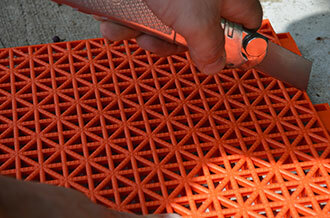 This method works well if you have several tile that need to be trimmed to the same length. Another method for trimming tile is a sharp razor knife or box knife.